Right now it's LEGAL for anyone travelling to Europe to bring 20kg of dried shark fins as part of their personal import allowance. It's enough to make 705 bowls of shark fin soup. Bite-Back, the UK shark and marine conservation charity, believes that there's a massive disparity between the current legislation and the scientific evidence that recently prompted the International Union for Conservation of Nature to declare that 25% of all shark species are threatened with extinction. For the survival of sharks the law must change. Please sign our NO FIN TO DECLARE petition calling on the EU to ban the personal importation of ALL shark fins to Europe. 1) Shark fins are the biggest incentive for fishermen to hunt more than 70 million sharks every year. Any law that permits the unregulated movement of 20kg of shark fins per person is turning a blind eye to the chronic overfishing of sharks. 2) There's no other foodstuff on the list of personal import items that compares in terms of volume or value. No one can argue that 20kg is an appropriate limit for personal consumption. 3) A 20kg cache of shark fins can be worth as much as €4,900 on the European black market. The law has created a legal loophole for the unregulated trade in shark fins. 4) Customs officials aren't qualified to know whether a suitcase of shark fins contains fins from CITES listed sharks such as the great white, hammerhead and oceanic whitetip. 5) For good reason whale and dolphin meat along with sea horses and sea cucumbers are banned items for personal import. The rationale for banning these marine items must apply to shark fins too. You don't need to be a shark fan to know that this legislation is wrong. END THE 20KG PERSONAL IMPORT ALLOWANCE OF SHARK FINS TO EUROPE As a supporter of Bite-Back, the shark and marine conservation charity, I'm calling on the EU to scrap the 20kg personal import allowance of shark fins. I object to the current legislation because: 1) Shark fins are the biggest incentive for fishermen to hunt more than 70 million sharks every year. The International Union for Conservation of Nature states that 25% of all shark species are threatened with extinction. 2) A 20kg haul of dried shark fins can make 705 bowls of shark fin soup. No one can argue that this is an appropriate limit for personal consumption. 3) It has created a legal loophole for the unregulated trade in shark fins. A 20kg cache of shark fins can be worth as much as €4,900 on the European black market. 4) Whale and dolphin meat along with sea horses and sea cucumbers are banned items for personal import. The rationale for banning these marine items must apply to shark fins. 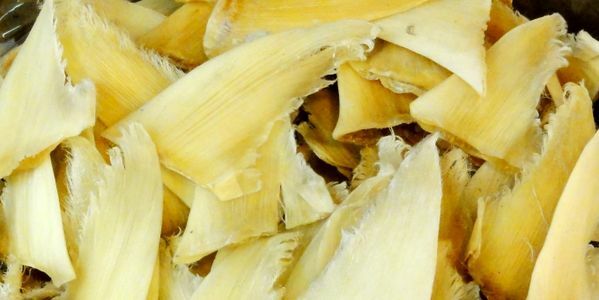 Earlier this year the United Nations Food and Agriculture Organisation launched a shark fin identification application to combat the illegal importation of fins from endangered sharks. It’s yet to be widely distributed among port inspectors and Custom agents. A decision to end the personal importation of all shark fins will mean that external border officials in 28 countries won't need to spend valuable time learning how to use the software or dealing with this complex issue. For these reasons it's time to ban the personal importation of shark fins. It's time that the personal import allowance reflected the vulnerable status of shark species. And it's time to close the loophole that facilitates the unregulated trade in shark fins. By adopting this simple request the EU will be reinforcing the significant actions it has already taken to improve the conservation and management of sharks across the world.